It’s not that my house looks like a page out of Pottery Barn or anything — trust me, I’m no Martha Stewart — I just like when things are tidy. Yes, I used the word tidy. Sue me. But I’m not perfect and I’m guessing your super-clean friend isn’t either. We all get busy and we can’t help it if our pets and kids are out to sabotage our best Mrs. Clean effort. So we learn tricks along the way to make it easier. Half of the time, her house isn’t actually as clean as it looks. Clutter is secretly disguised to look shabby chic and intentional. For example, clutter looks much more sophisticated if you buy cute matching baskets in which to hold it. Think about where you and your family naturally drop things like bags and shoes and paper and then strategically place cute baskets to hold those items until you get around to putting them away. Pure trickery. This one is no trick — and it’s annoying as all hell — but there’s something about leaving dirty dishes overnight that starts the next day off on two left feet. Just do the dishes and put them away every night. Pour yourself a cocktail and call it a nightcap if that makes it easier. You’ll be thankful you did as you’re enjoying your morning coffee the next day without dirty plates plaguing your bliss. All trash with stink potential goes out nightly; food scraps don’t need to marinate in your trash bin until it’s full. They belong in the big can my friend… outside. I usually put them in an old grocery bag so I don’t have to waste my actual trash bag supply. When I’m cooking, I use the produce bag from whichever veggie I’m chopping to collect all the scraps accrued from the moment I start cooking until after I’m done eating. I actually switched from a duvet comforter to a quilt so it was easier to wash my bedding every week (tell me that stuffing your comforter into the duvet covers is not the biggest PIA). Again, there’s just something about clean sheets that makes your whole life better. P.S. Making the bed every day also really helps. In fact, that’s where we drop our workout clothes in my house so our laundry room can actually smell like old socks and sweaty armpits if I don’t play my cards right. The worst part is, sometimes those smells survive the wash cycle. I’ve found that adding Super Washing Soda to my washer helps neutralize and eliminate odors, not cover them up with perfumes, which is a big win. And the fact that it’s natural is a bonus. Try Arm & Hammer’s Super Washing Soda Detergent Booster (also all natural). 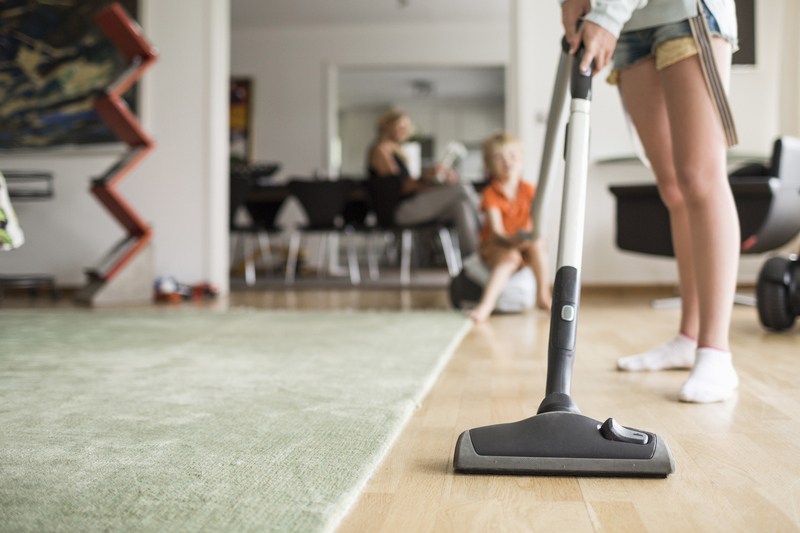 You don’t have to spend entire Sundays mopping and dusting to make your house feel clean. Fluff some pillows, pick up what you’ve left lying around, fold blankets, light a candle, that kind of thing. It goes a long way in faking a clean house. Save mopping for boring Tuesday nights. If you’re in the living room walking to the kitchen, what else can you take with you? If you always carry something with you when you go from room to room anyway (something that belongs there of course), you’ll be amazed at how much cleaner your house looks. If you don’t constantly channel clutter, it will come back to bite you. This is where my neurosis really shines. I don’t just vacuum the floors. I vacuum the baseboards, the crack between the baseboards and the carpet, closet corners, furniture, throw pillows, furniture cushions, under the furniture, the window sills, under and behind the washer and dryer and anywhere else I can stick that little wand attachment. If you have pets, pet hair builds up in these places and bugs will live there. Because it’s the grossest chore and I am not great about doing it as often as I should, I do it here and there as I notice things. I keep a sponge in the shower to scrub the tub (ha!) with my foot every few showers and prevent gross buildup. The toilet brush and cleaner is under the sink just in case I get the urge (to clean it!). Things like that. The thought of cleaning the house from top to bottom is way too dreadful. Sure, it has to happen that way sometimes, but if you can manage, just clean things one piece at a time. Notice dusty blinds? Dust them. Notice a less-than-tidy bedroom? Clean it up. Notice a dirty floor mat? Put it in the washer. You may even find that cleaning one thing leads to another naturally. And just remember, you never see the dirty moments in an Instagram photo. 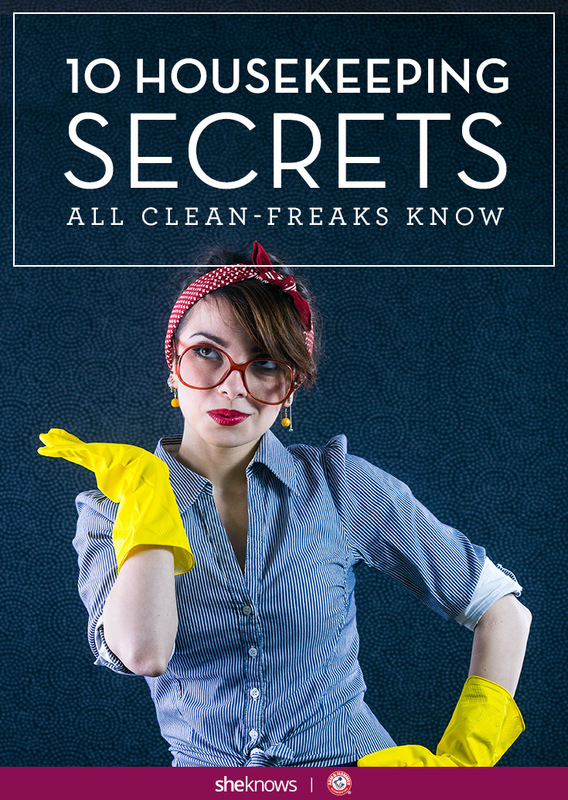 Even your cleanest friend has dirty secrets. Sometimes we just hide it behind doors and in cute baskets. This post is sponsored advertising content for ARM & HAMMER™ Super Washing Soda.